This year Google will stop with the support of Android Device Admin API’s with the release of Android 10. 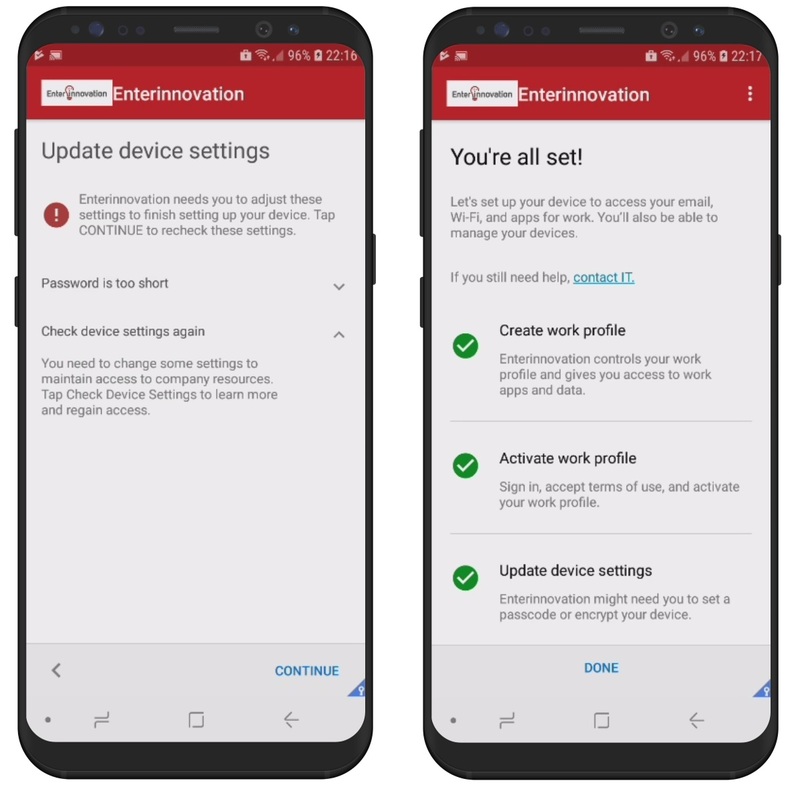 This means that the traditional way to manage Android devices is no longer possible with new Android 10 devices or older Android devices that are upgrading to Android 10 (or higher). Android Enterprise is the new way to manage Android devices. 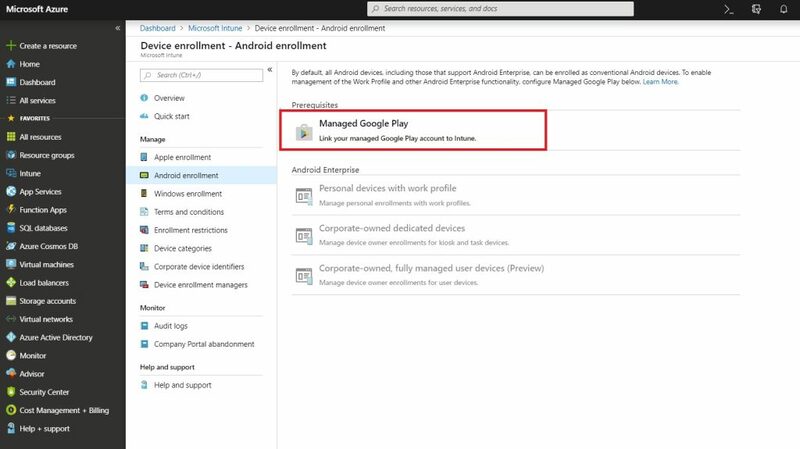 With Microsoft Intune you can manage Android devices with Android Enterprise in different modes. 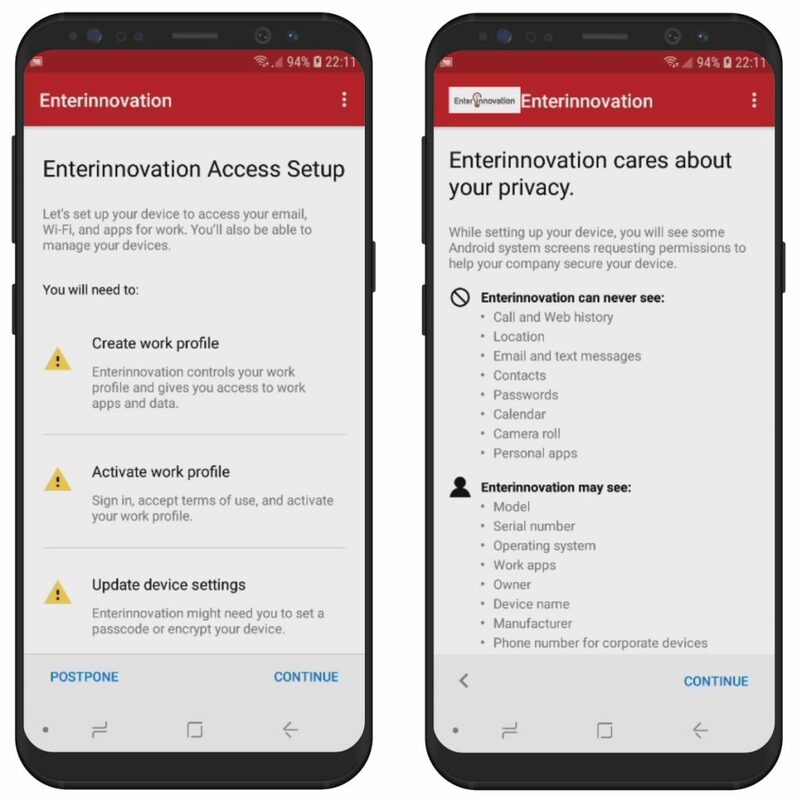 In this blog I will show you step-by-step how to enable Android Enterprise and configure the Work Profile mode (I will write a separate blog for the other modes). There are a lot of things that needs to be taken into account and I want to deal with them all in this blog. It has become quite a long blog and I think I have included all the necessary steps. That is why I have labeled this blog as The ultimate Step-by-Step guide. What is Android Work Profile? 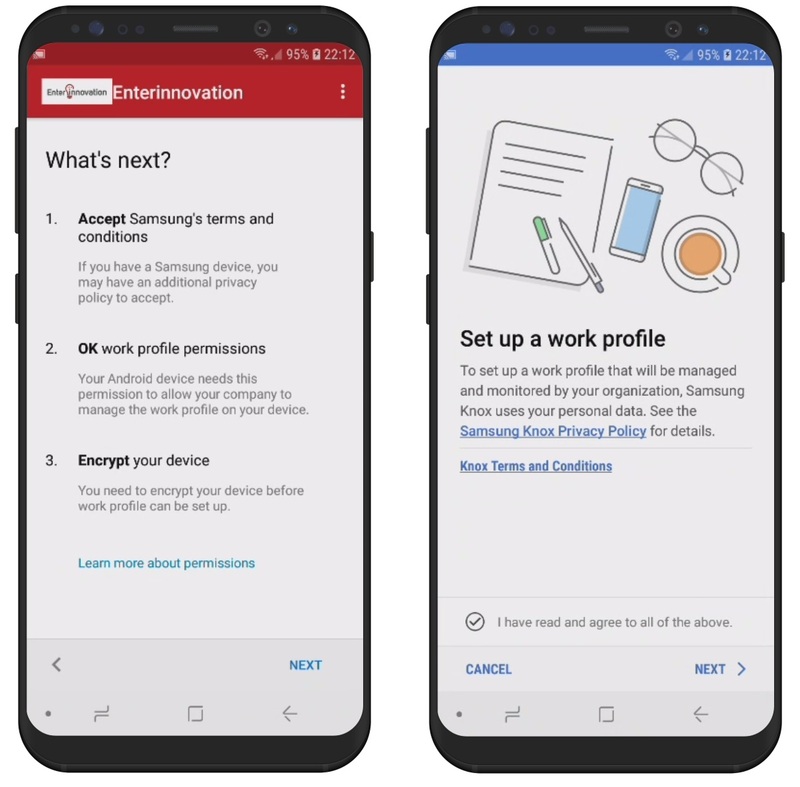 Android Work Profile is an Android Enterprise mode to manage corporate data and apps on a personal enabled Android devices. 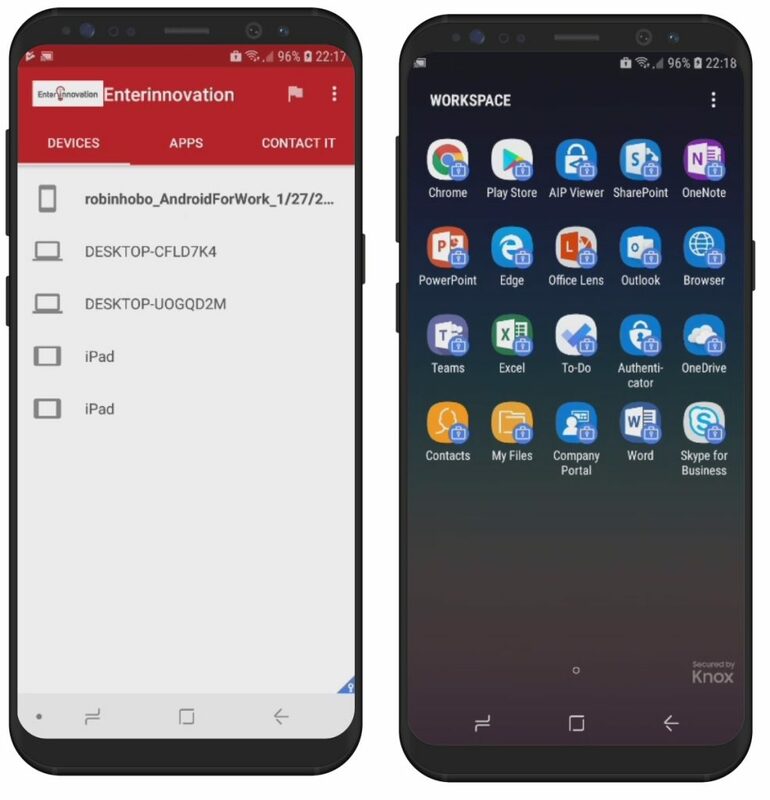 With an Android Enterprise Work Profile, a work container is created on the device in which all business applications end up. You can secure this work container to protect corporate data with security settings like, conditional access, disable the Copy and Past actions between applications inside and outside the work container and an access passcode. 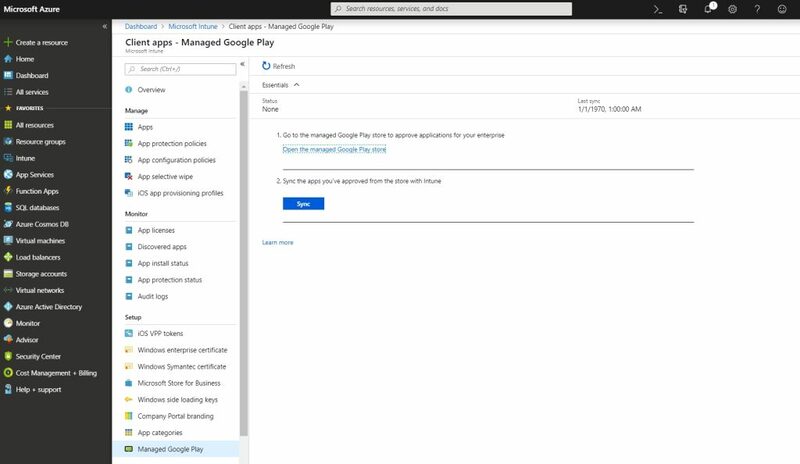 The first step is to link a Google Account to Microsoft Intune. 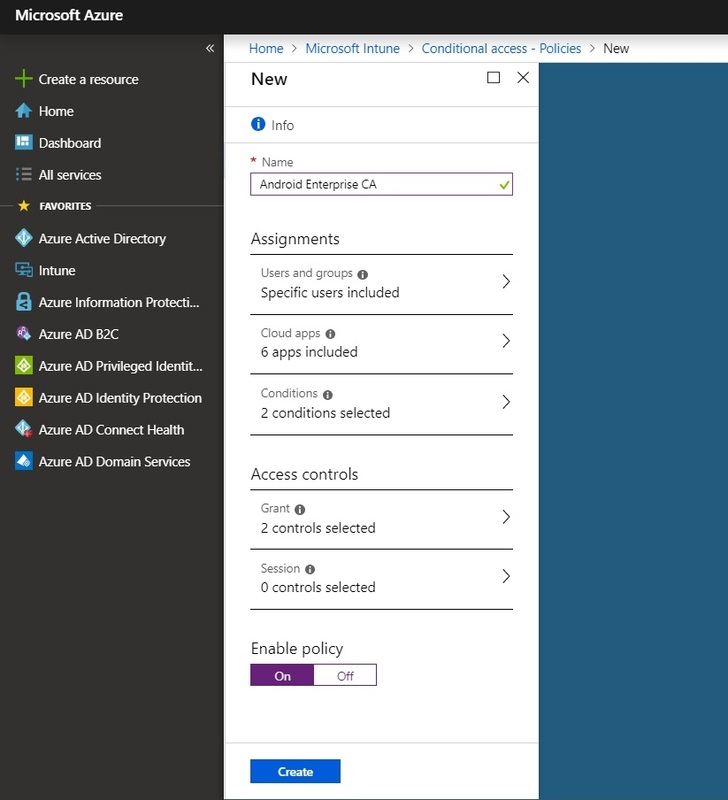 Login to the Microsoft Azure portal for the following steps. This form is optional, you can skip it or fill it in. Scroll down this page. 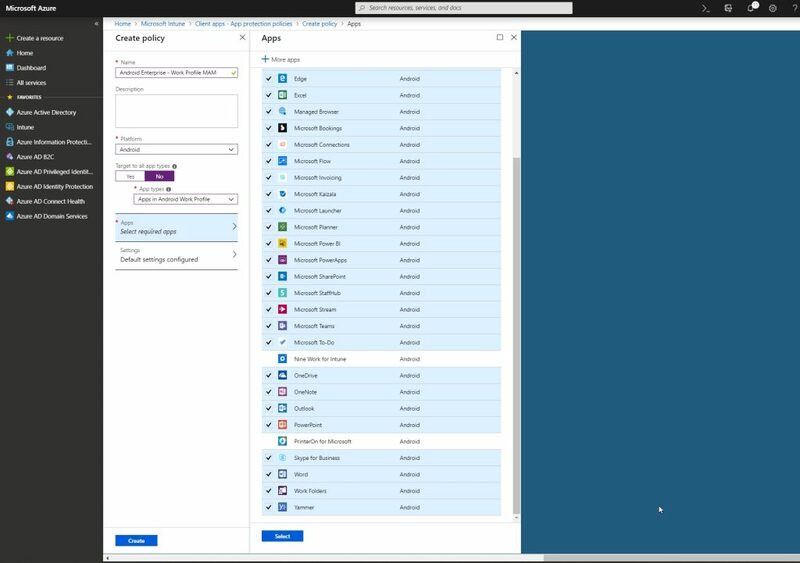 Go back to the Microsoft Azure portal. Search for an application you want to publish / push to Android devices. 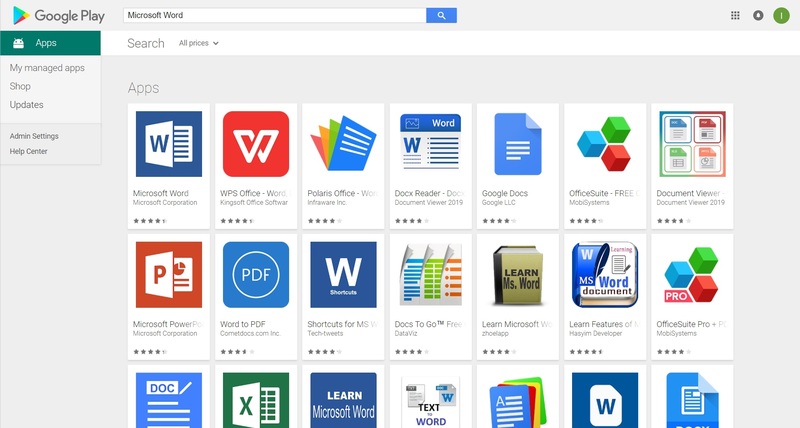 In this example I will add Microsoft Word to My managed apps. Note 1: Repeat this step for all applications you want to push/publish to Android devices. 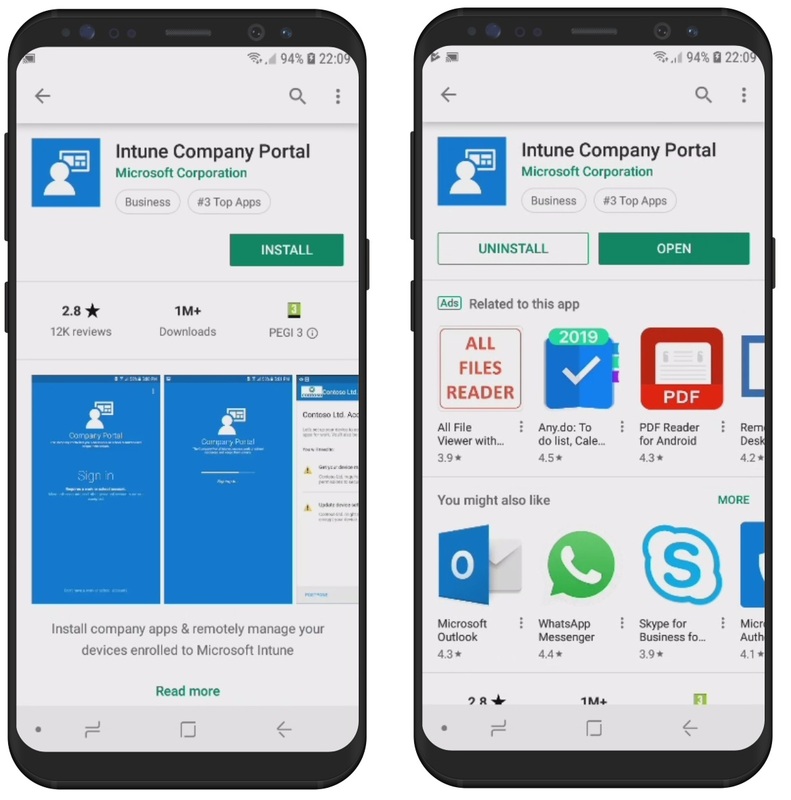 Note 2: Add the Intune Company Portal app and push this app mandatory to all Android devices. This is required to get the latest updates automatically. When the sync is finished (status: success) open the Apps page. Here you can see all the apps that you approved in the previous step (App type is Managed Google Play app). The next step is to assign the application to a group. 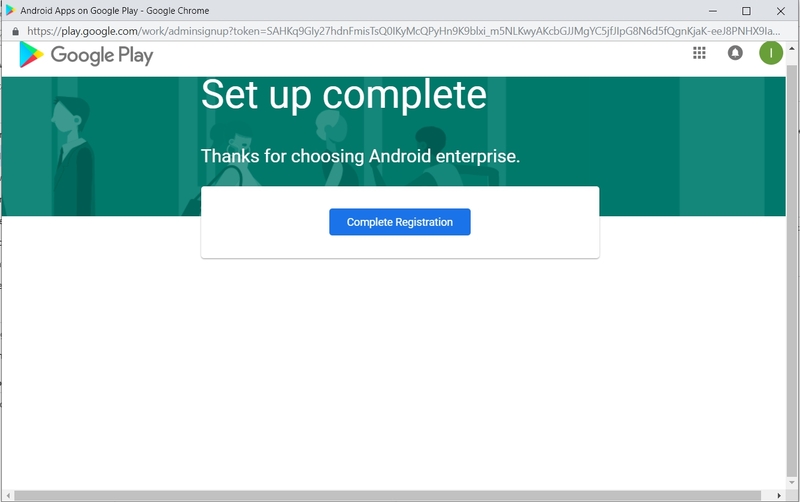 The next step is to create the Android Enterprise Work Profile itself. 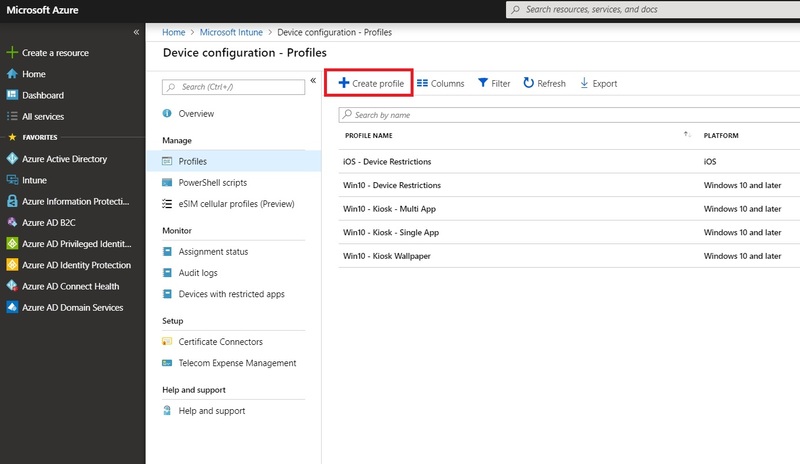 Navigate to; Microsoft Intune > Device Configuration > Profiles and click the + Create profile button. Fill in a Name and a Description (optional). 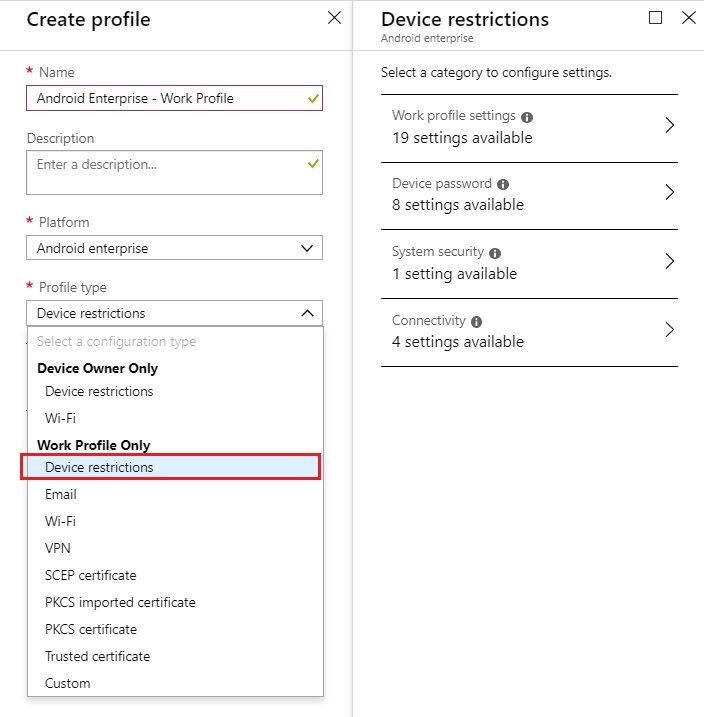 Select Android enterprise as Platform and select Work Profile Only – Device restrictions as Profile type. Now you can configure the Work profile settings, Device password, System security and Connectivity. I always block Copy and Past between work and personal profiles, block Add and remove accounts and Require Work Profile Password. However, what and how to configure settings is depending on the customer use cases. Open the Assignment page and add the group you want to publish this profile to. 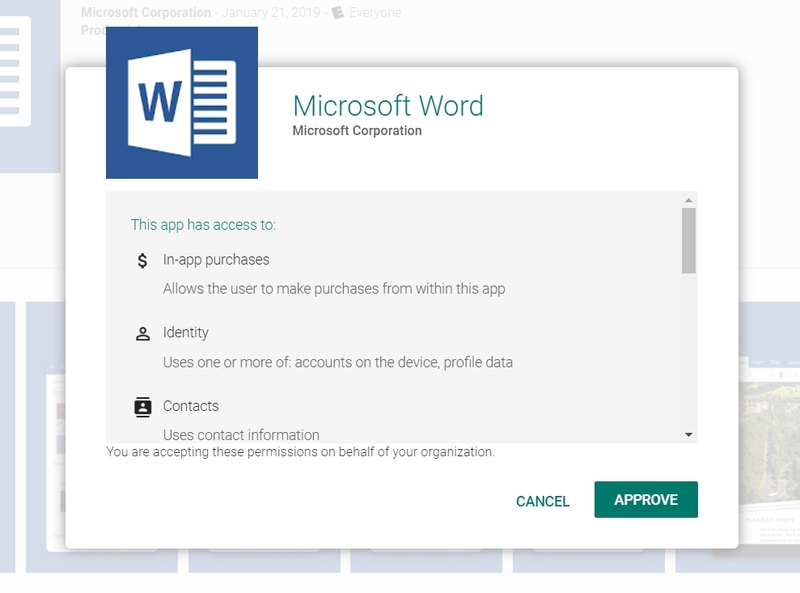 When you include Microsoft Office 365 applications in your Android Enterprise Work Profile, it is also necessary to configure App Protection Policies, a.k.a. Mobile Application Management (MAM) policies. 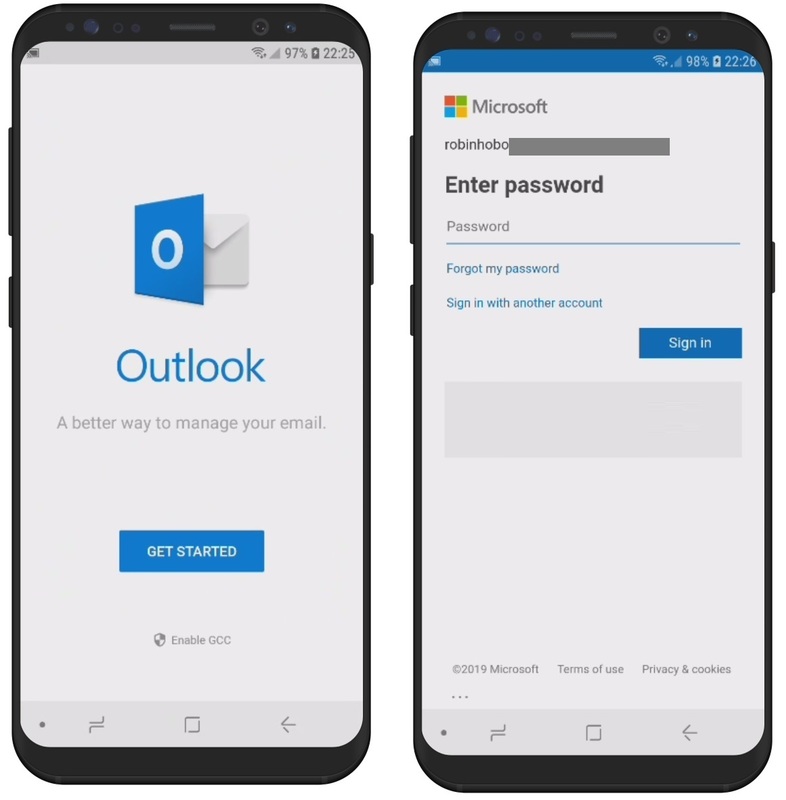 The Microsoft Office 365 applications are enabled for multi account use, meaning that you can add other accounts next to your business account. 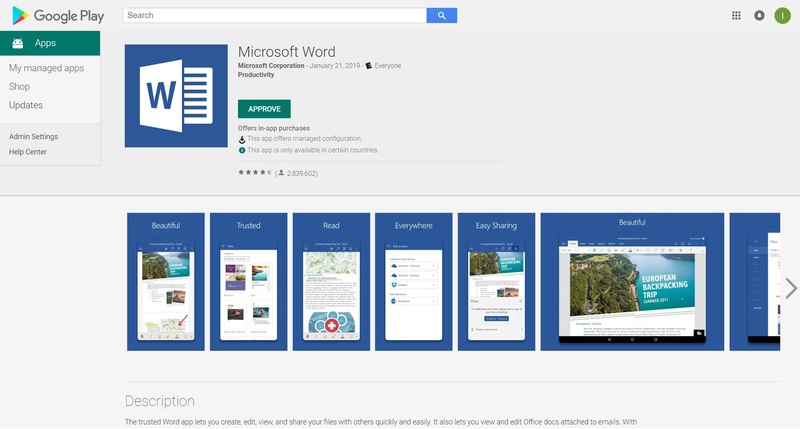 And not only email accounts, you can, for example, in Microsoft Word add Storage Accounts like Dropbox. With App Protection Policies you can prevent users from saving business mail attachments to private Storage accounts like Dropbox. In the following steps I show you how to configure this. 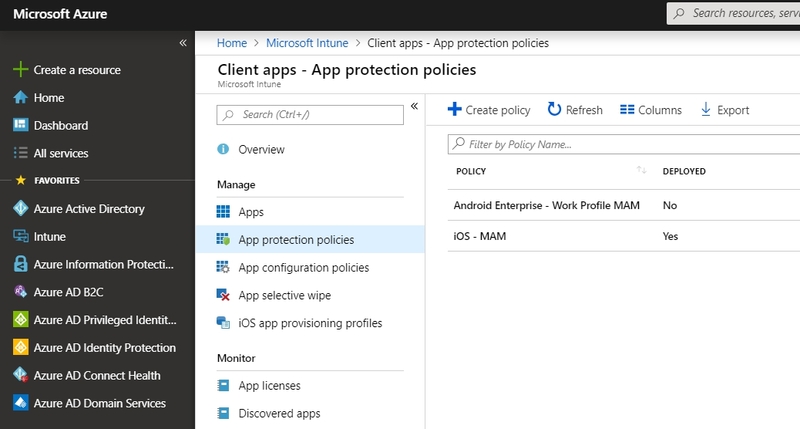 Navigate to Microsoft Intune > Clients apps > App protection policies and click the +Create policy button. 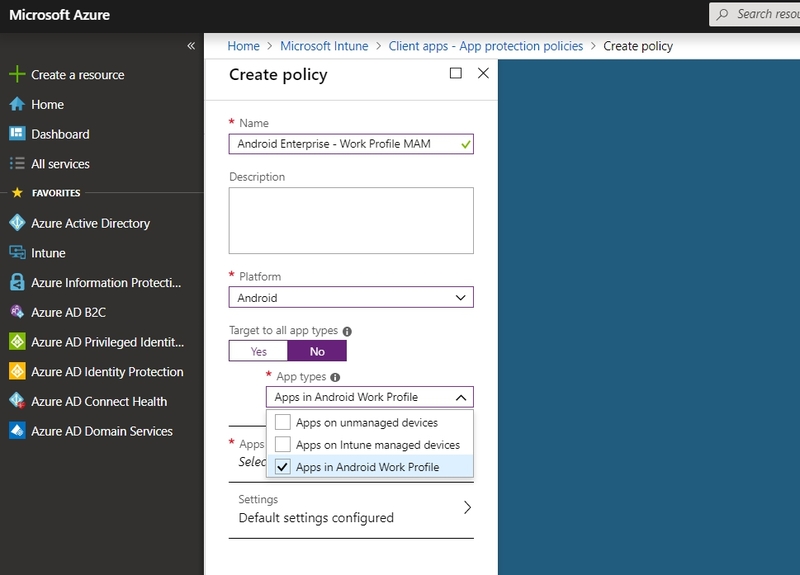 Give the App protection policy a name and a description you like. Select Android as the Platform. Set Target to all app types to No and select Apps in Android Work Profile as App type. 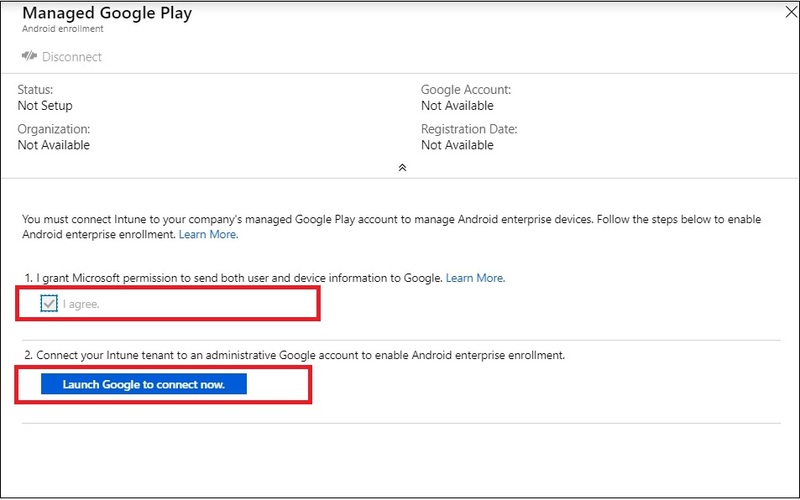 Click Select required apps and select the applications that you are making available within the Android Enterprise Work Profile. Click Settings. 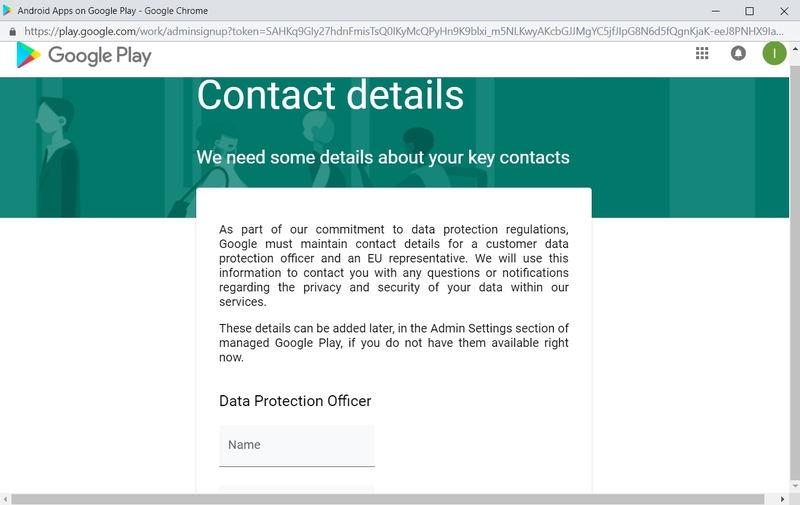 On the Data protection page set Save copies of Org data to Block. 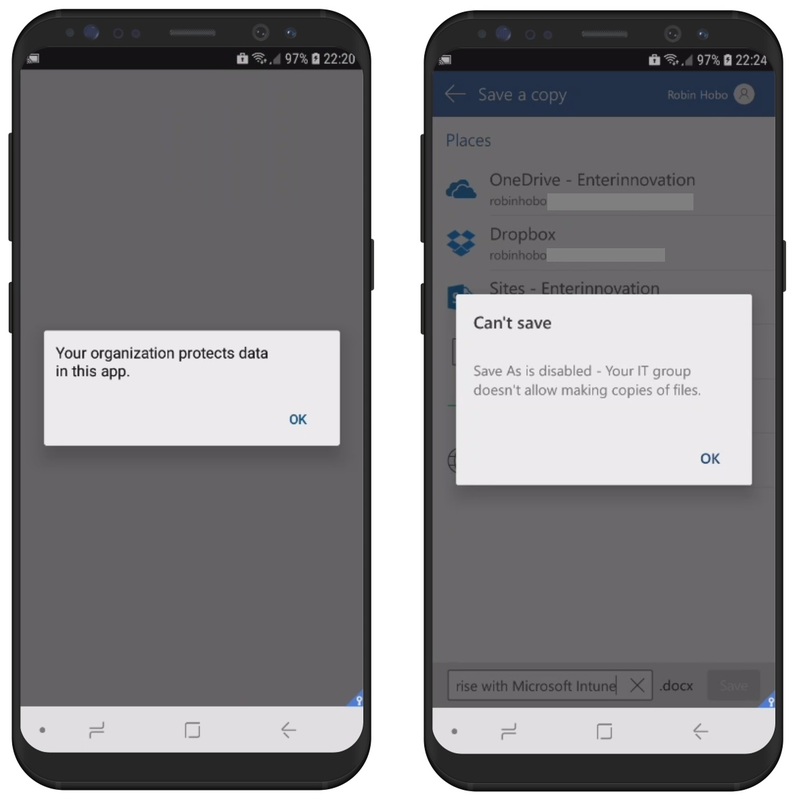 Next to Allow users to save copies to selected services select OneDrive for Business and SharePoint (when it applies for your company). 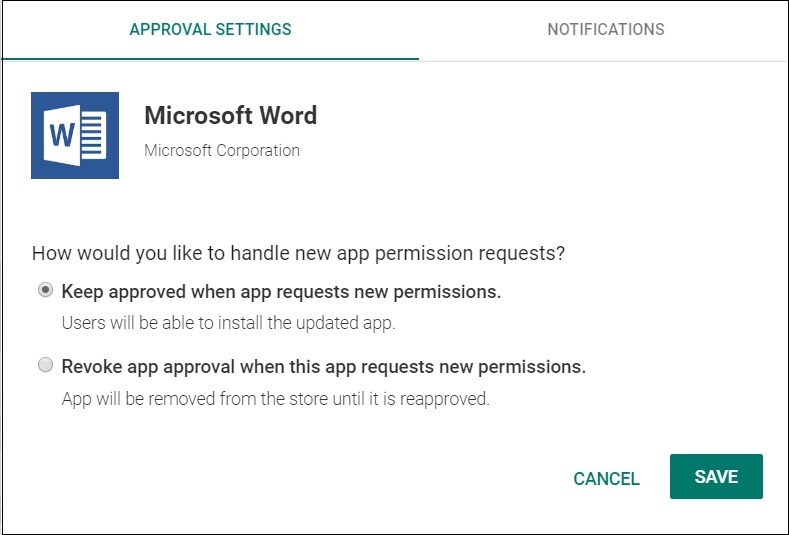 Since this App protection policy will only apply within the Android Enterprise Work Profile (which is protected with a own password) I disable a PIN for this managed applications on the Access requirements page. Click OK twice and click Create. 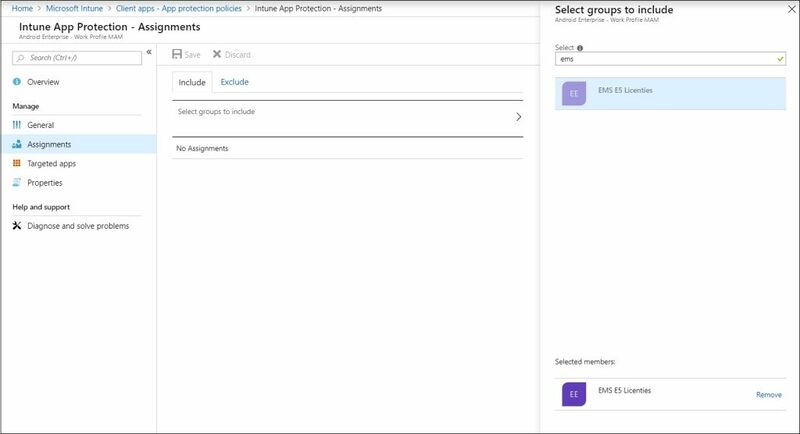 Click the just created App protection policy. 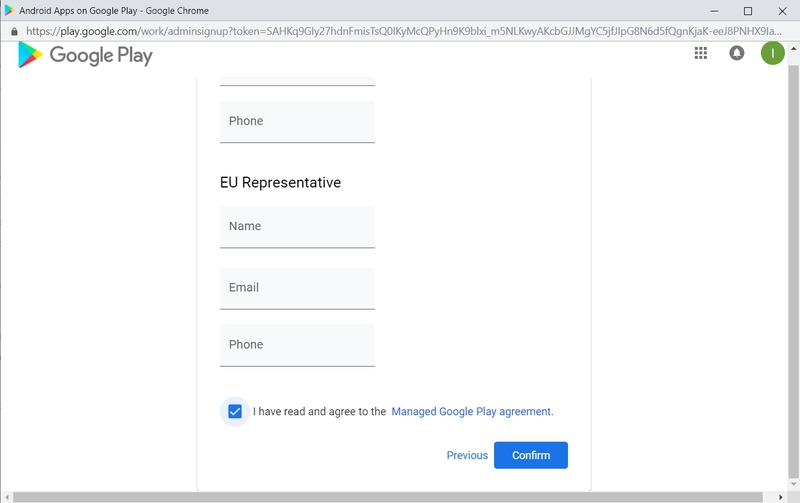 Open the Assignment tab and assign this policy to the group with the Android users. 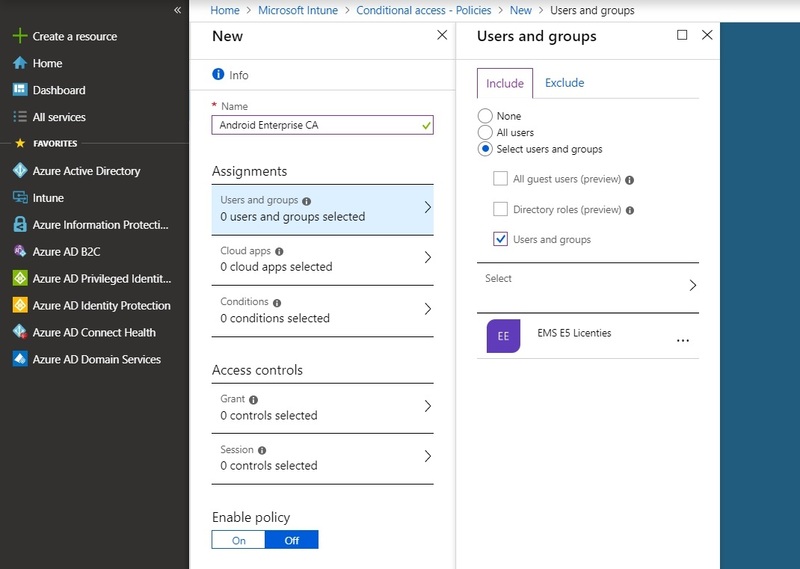 In steps 6 of this blog we are going to create Conditional Access policies. One of the checks that we are going to configure will be when the devise is Marked As Compliant. Before we can configure that, we have to determine when a devices really is compliant. Let’s start by looking at the standard behavior settings. On this page you can configure conditions to mark a device compliant or not. The fist setting is Mark devices with no compliance policy assigned as (Compliant or Not Compliant). This depends on the company requirements. 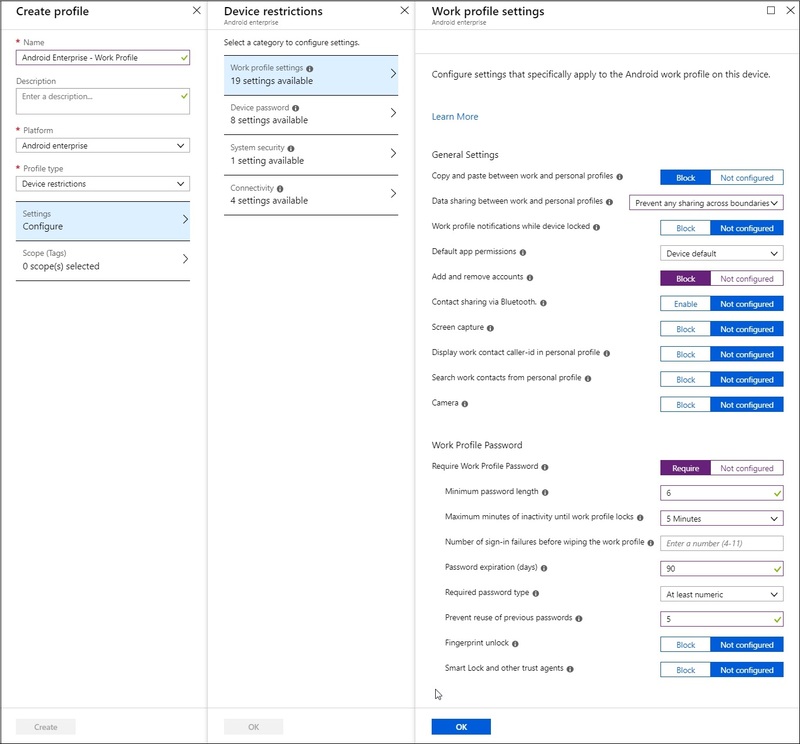 If there are some security baselines that needs to be applied to every mobile device, you can configure these guidelines into a Compliance Policy and apply this policy to all the devices. If the device meets the requirements, the device is marked as compliant and otherwise not. 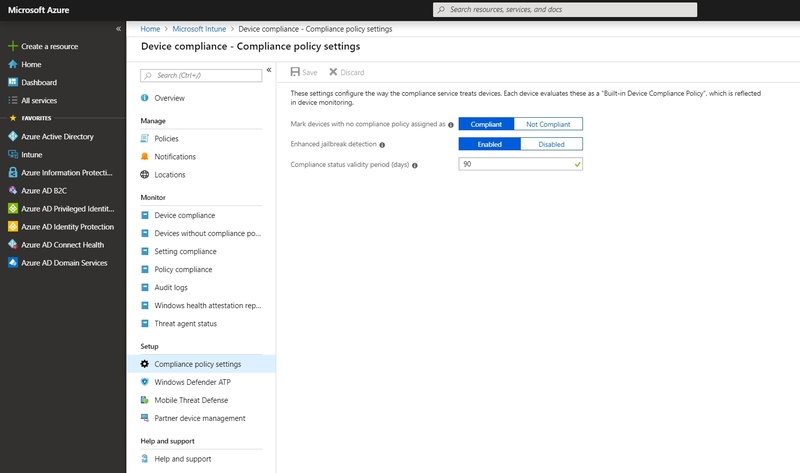 But if there is no need to configure a Compliance Policy, make sure that the answer to the first option is set to Compliant. Second option is to Enhanced jailbreak detection (Enabled or Disabled). I think, for security reasons, this should always be set to Enabled (jailbroken devices will be marked as not compliant device). Last option is Compliance status validity period (days). After how many days of inactivity must a device be marked as not compliant? In my case I will fill in 90 days. With this current configuration so far, we have secured the Android Enterprise Work container. 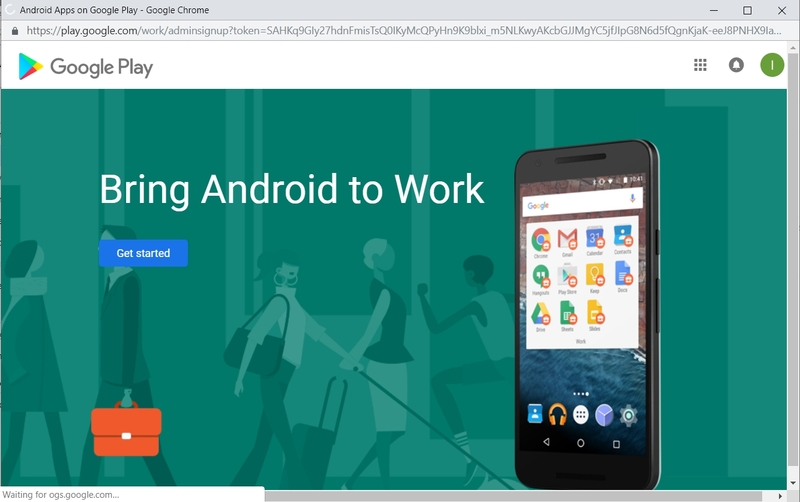 Now we have to make sure that company data is not accessible outside this work container on a Android device. 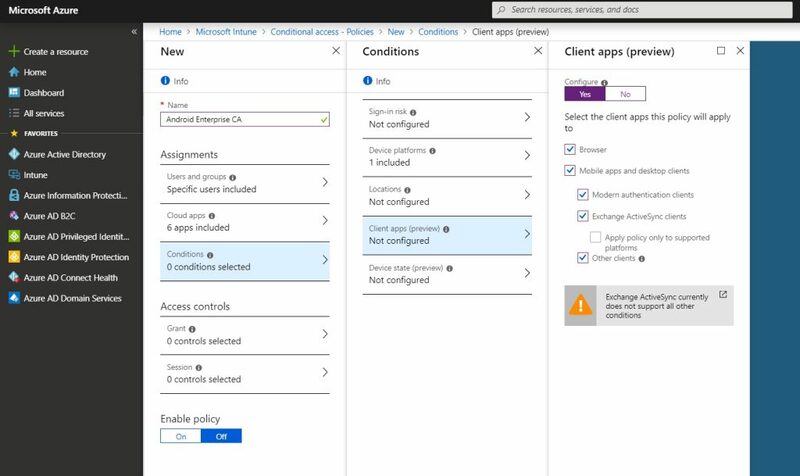 Therefor we need to configure Azure AD Conditional Access. 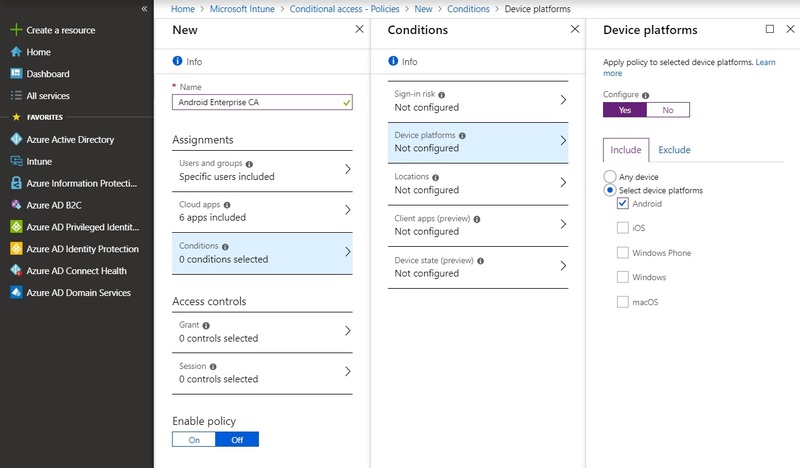 Give the new Conditional Access policy a name (in my case Android Enterprise CA). 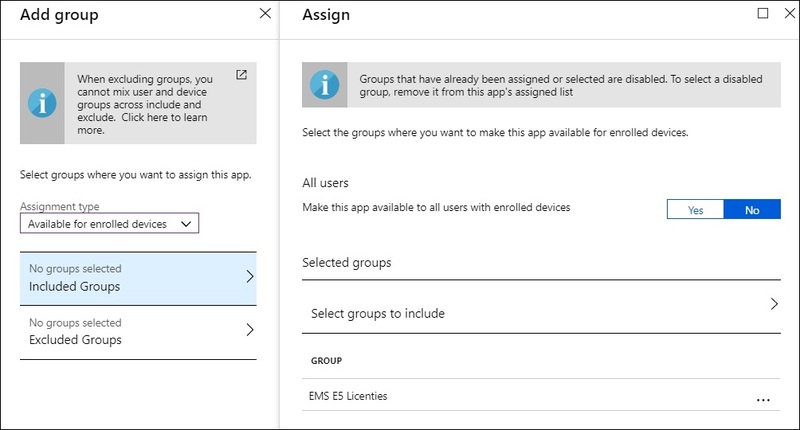 Click on Users and groups to target this Conditional Access to a group of users (in my case the same group as all the other resources I publish for Android Enterprise). Click OK.
Click on Cloud apps and select the Cloud Applications you use within your company and where you want to avoid that these applications can access corporate data outside the secure Android container. Most common are Office 365 Exchange Online (for access to email) and Office 365 SharePoint Online (which also includes OneDrive for Business). Open the Conditions tab and open the Device platforms settings. In my case I only select Android as platforms. 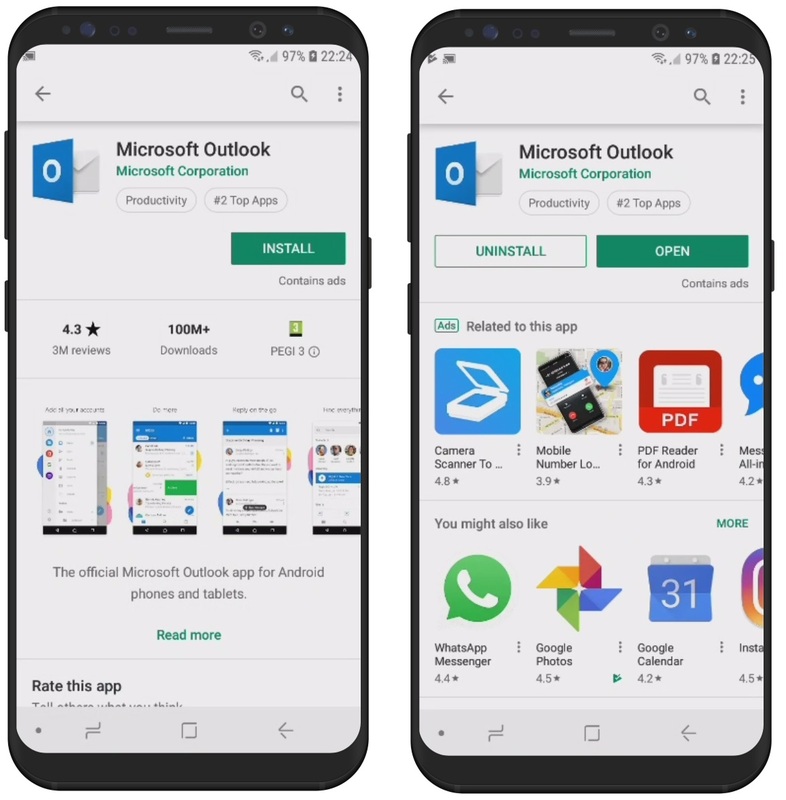 You can select multiple platforms or just select Any device, but if you select different platforms, make sure that you at least select Android in this case. Under Access controls open the Grant tab. 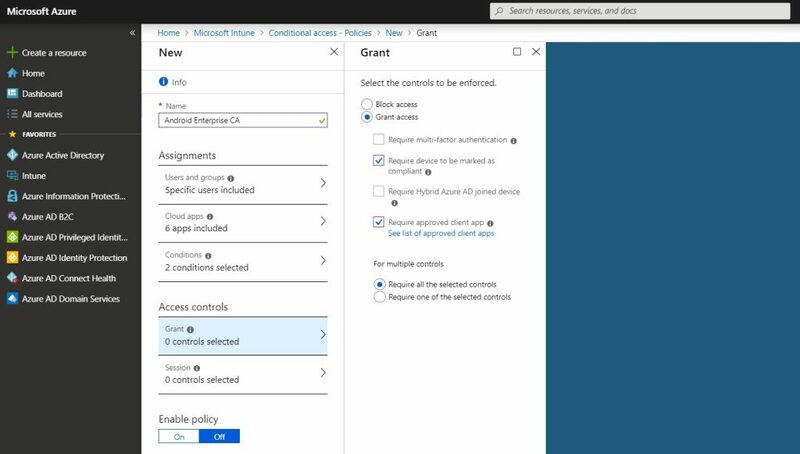 Select Grant access and make sure you select both Require device to be marked as compliant and Require approved client apps. 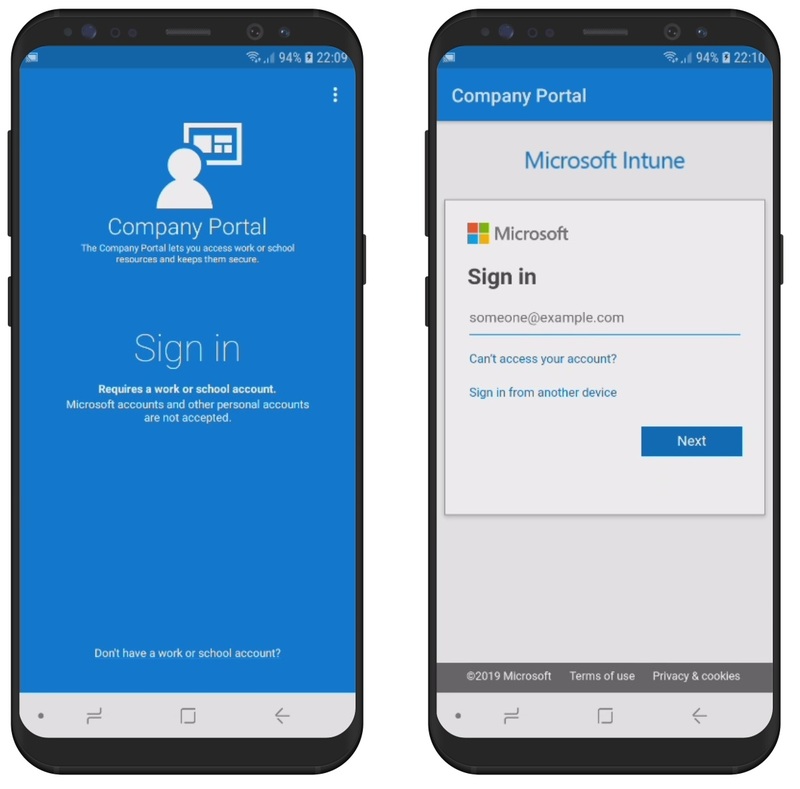 In this way, the device must be enrolled with Intune (and be compliant) and the Intune Managed apps must be used to access the corporate data (assuming that Outlook will be used as mail client, otherwise don’t select the last option). Make sure that Require all the selected controls is selected. 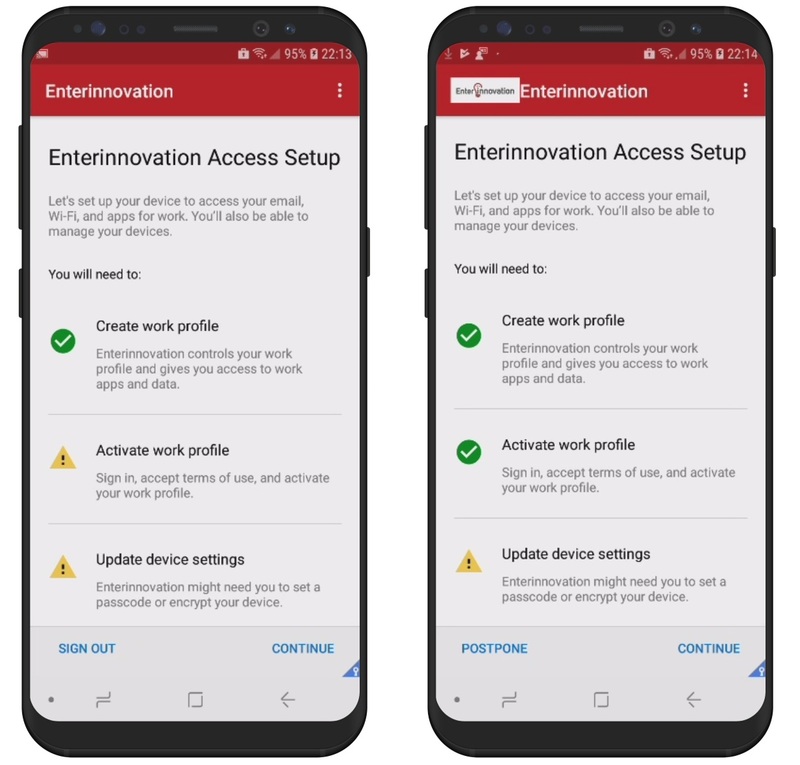 The final step is to enable Android Enterprise so that new devices will be enrolled with a Android Enterprise Work Profile. 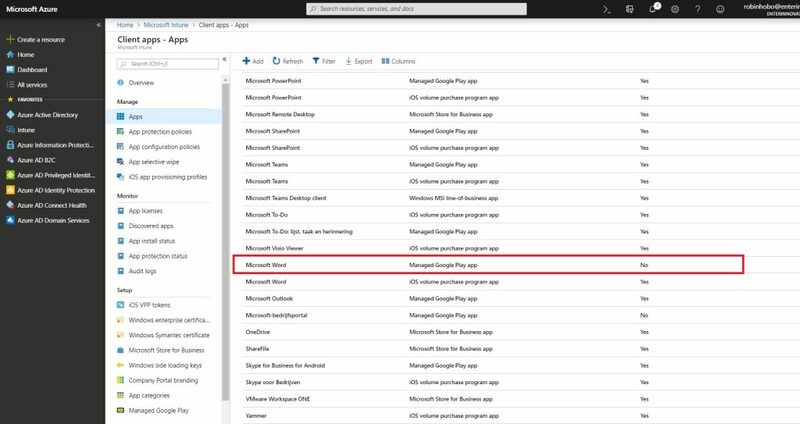 Navigate to: Microsoft Intune > Enrollment restrictions and open the Default restriction profile. Click Properties and then Select platforms. Final step is to test the results of the just created configuration. Therefor I will enroll a new Android 8 device to see if everything is working fine. Left: I did not have configured a pincode on the device (for this demo) so at this point I’m forced to create a pincode before I can continue with the device enrollment. Right: A Workspace folder is created. Open this folder to see all the business applications. Left: When opening a managed application (with an App Protection policy applied to it) for the first time (like Microsoft Outlook of Microsoft Word) this message will appear once. After this, the configured App protection policies are applied. Right: For the test I have added my Dropbox storage account to Microsoft Word and try to save a business document to it. 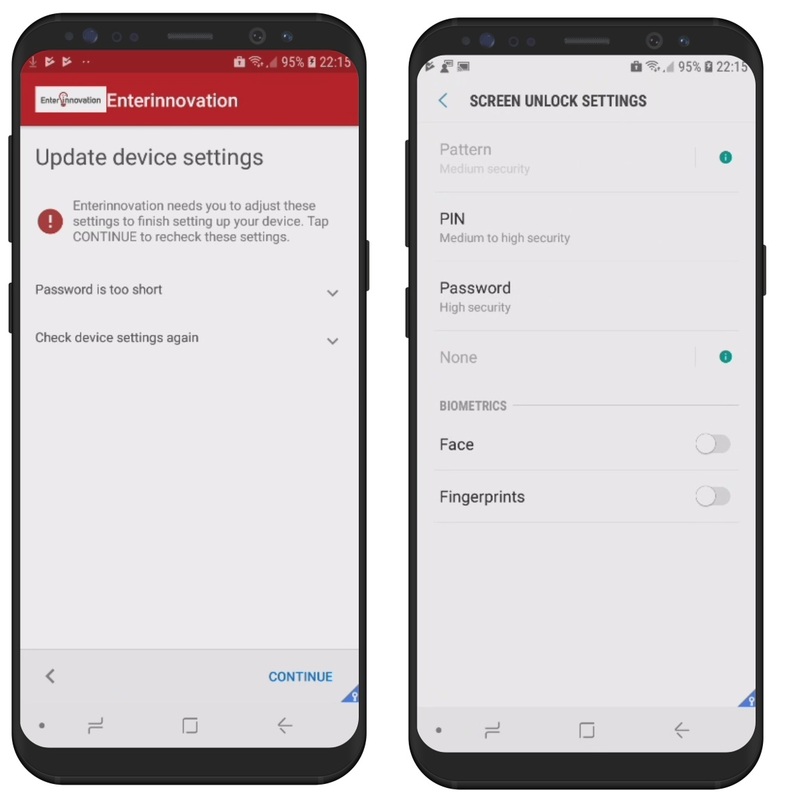 As you can see, this action is blocked bij the App protection policies. Access to corporate email is blocked as expected. I work as a Solution Architect Mobility at COMPAREX based in the Netherlands. 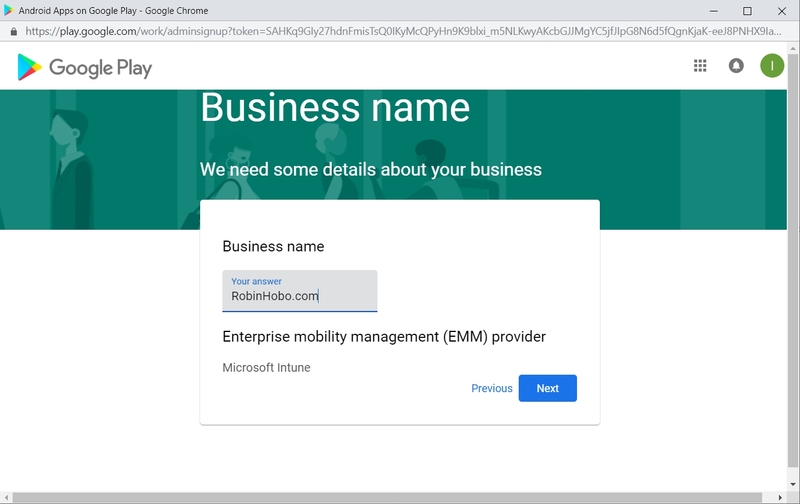 My primary focus is on Enterprise Mobility Management (EMM) solutions where I specialize in products like, Microsoft Enterprise Mobility + Security (EM+S), VMWare Workspace One (AirWatch) and Citrix Endpoint Management (XenMobile, ShareFile). I fulfill a pre-sales function but also have a technical background. This enables me not only to give independent advice, but also to carry out the implementations.